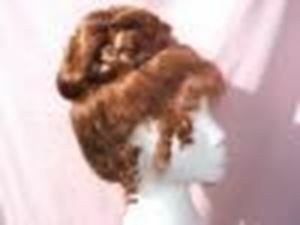 This style adapts to a few periods but this was very popular around the 70's. We have many colours and lots of styles for this period. We can copy a sketch to suit your requirements. Whether for hire or purchase, please contact Dauphine (01179 560805) for price details.